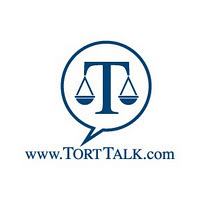 TORT TALK: Tort Talk Selected by ABA Law Journal as One of Top 100 Best Law Blogs in the U.S. Tort Talk Selected by ABA Law Journal as One of Top 100 Best Law Blogs in the U.S. I am pleased to announce that the Editors of the ABA Journal announced today that they have selected Tort Talk (www.torttalk.com) as one of the top 100 best blogs in the nation for a legal audience. 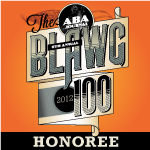 This December 2012 edition of the ABA Journal containing the Blawg 100 List can be read online HERE. I send out my sincere thanks and great gratitude to all of you who took the time to vote to get Tort Talk onto this list. 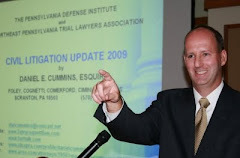 I also thank all of you who continue to provide me with tips and cases to help keep Tort Talk worthwhile and current. Now that the editors have made their picks, the ABA Journal is asking readers to weigh in and vote on their favorites in each of the 6th Annual Blawg 100's 15 categories. Please consider clicking HERE to register and vote. Voting ends at close of business on Dec. 21, 2012. Thanks again! I really appreciate it.